Why Can I Not Get Hydrated? Does your body feel like the dry desert? Hello! I ran into your site looking for the reason why it's so hard for me to get hydrated. I think now after so many years I'm realizing for the 1st time that it might be that most of my health problems at age 32 have to do with my chronic dehydration! Could it be I'm already very dehydrated? Also, biggest thing is that I never sweat that much, like my mom, and when I do drink it goes right through me! It's to the point I really think my body isn't even soaking it! What could it be or why?? Thanks for helping! WBH response: I think you have probably already answered your question, and I know what you are going through. Several years ago I felt the same way. I did not like drinking water and I never felt hydrated. In addition, I had numerous symptoms of dehydration (such as dry skin and mouth, allergies, fatigue, and headaches) even though I felt like I was drinking “plenty of water” each day. Things changed for me when I started drinking half my body weight in ounces of water (which was really difficult at first). You actually have to measure your water each day until you know for sure how much you are actually drinking. I also switched from reverse osmosis water to ionized alkaline water, which I found to be much more hydrating than any other drinking water I had tried – and I had tried many different types. 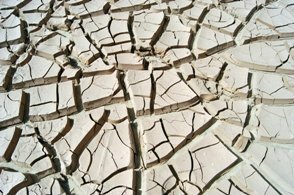 When it comes to re-hydrating a body that is chronically dehydrated, I often use the analogy of pouring water on desert ground, where the dirt is hard packed, dry and cracked. How much water is going to absorb into the dirt when you first start pouring? Very little; it will just run off. But if you keep pouring water, eventually it will start to absorb into the cracks and moisten the soil. I believe our body tissues are similar. The more hydrated they are, the more water they will absorb over time. So the moral of this story is to try different types of drinking water and COMMIT to working up to drinking half your body weight in ounces of water. In other words, if you weigh 180 pounds, you would want to drink about 90 ounces (nearly 3 quarts) of water a day to re-hydrate yourself. I believe the best type of drinking water is filtered of contaminants but retains the minerals in the water rather than de-mineralized waters (reverse osmosis and distilled). I also highly recommend investing in a home water filtration system rather than relying on bottled water (nearly half of which is simply reprocessed tap water). If you don’t like the taste of water, try adding fresh-squeezed lemon juice to your water.